This comm no longer requires formal claims. Feel free to pick a table, and write, and post to the community. Mod approval is not needed anymore. All completed claims will be archived as soon as possible. Ever wanted to claim a pairing at a drabble challenge community, yet unable to... well, drabble? Then, this is the community for you. See, all you have to do for your pairing of choice is to complete one sentence for each theme—only one sentence! This might seem very elementary, but it's better to be safe than sorry. 01. First, join the community. 02. Comment to this entry with your claim, and make sure you include the characters' full names, plus the fandom they're from. Please make sure the form is filled out correctly, or the mods WILL NOT add your claim to the list. 03. Each member may only claim up to two pairings. 05. There must be one sentence for each theme; no combining themes. 06. You can only post your sentences once you have completed all 50 themes. 07. There is a six month time limit on claims. Purge posts of the 'already claimed' list will be done at regular intervals. 08. 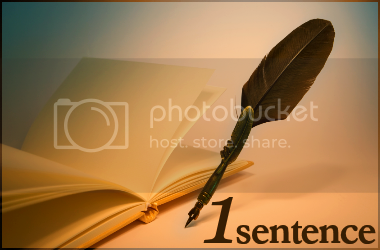 Sentences can only be posted once you have been listed in the claimed list. 09. If you want to give up your claim, you may do so in this entry. 10. Be civil to each other, and please, no bashing just because you don't like one particular pairing, etc. Rude members will be given a warning once, and if the same offense is repeated, he/she will be banned. 11. When posting your claim, post it with comments allowed, because we won't be able to add it to the memories section otherwise. 12. If you are going to post several claims at the same time, still post them in separate entries. We currently have five theme sets, so you may choose one of them to use for your claim. You may not mix the themes from more than one set, of course. Theme sets: Alpha to Epsilon. You can use the format below in the body of your post. Note that this is just a guideline, you may alter it slightly to suit your needs.